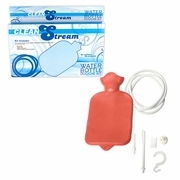 Clean Stream Bag System Enema Set Red. 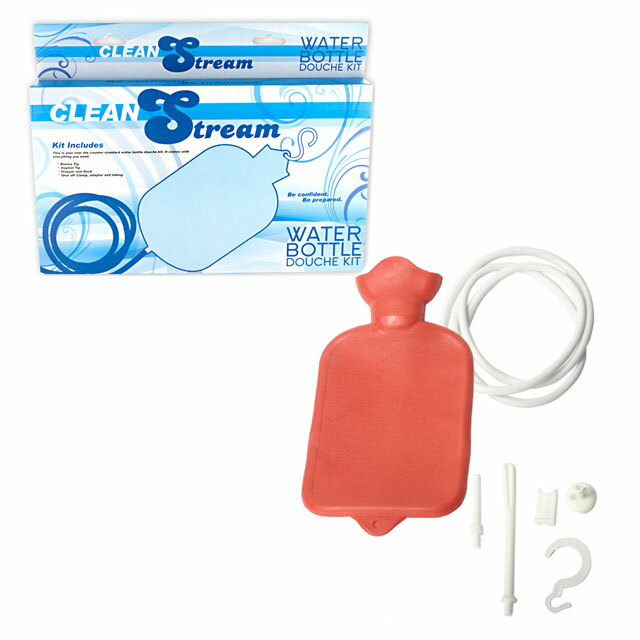 This is an over-the-counter drugstore-standard water bottle enema kit. It comes with everything needed for personal preparation for an enema. Bag holds up to 1.5 quarts. Hose measures approximately 5 feet long. Materials are rubber hose and bag; ABS plastic enema tips and shut-off clamp.